Ever since the Apollo era, scientist have known that the Moon had some kind of magnetic field in the past, but doesn’t have one now. Understanding why is important, because it can tell us how magnetic fields are generated, how long they last, and how they shut down. New studies of Apollo lunar samples answer some of these questions, but they also create many more questions to be answered. The lunar samples returned by the Apollo missions show evidence of magnetization. Rocks are magnetized when they are heated and then cooled in a magnetic field. As they cool below the Curie temperature (about 800 degrees C, depending on the material), the metallic particles in the rock line up along ambient magnetic fields and freeze in that position, producing a remnant magnetization. This magnetization can also be measured from space. Studies from orbiting satellites show that the Moon’s magnetization extends well beyond the regions sampled by Apollo astronauts. All this magnetization means that the Moon must have had a magnetic field at some point in its early history. 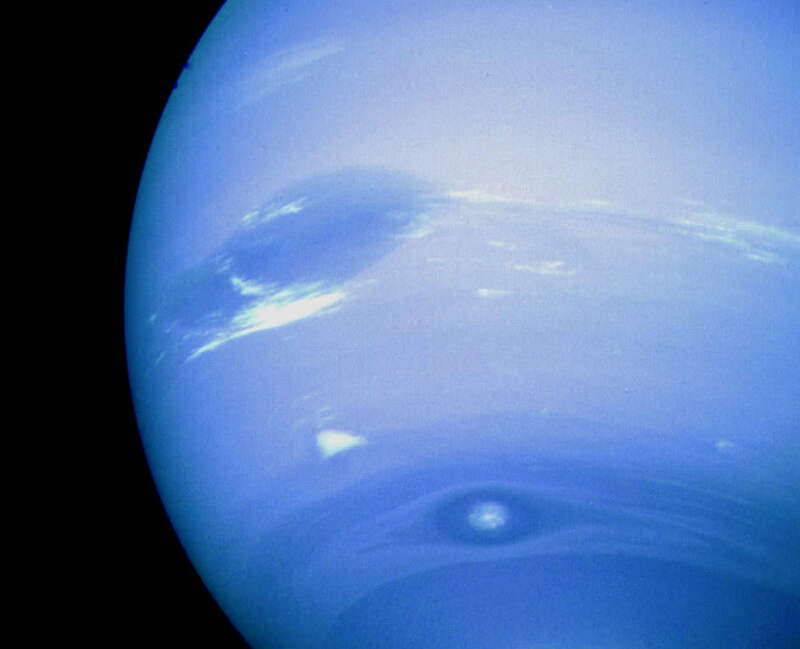 Most of the magnetic fields we know of in the Solar System are generated by a dynamo. Basically, this involves convection in a metallic liquid core, which effectively moves the metal atoms’ electrons, creating an electric current. This current then induces a magnetic field. The convection itself is thought to be driven by cooling. As the outer core cools, the colder portions sink to the interior and let the warmer interior sections move outwards towards the exterior. Because the Moon is so small, a magnetic dynamo that is driven by convective cooling is expected to have shut down some time around 4.2 billion years ago. So, evidence of magnetization after this time would need either 1) an energy source other than cooling to drive the motion of a liquid core, or 2) a completely different mechanism for creating magnetic fields. Laboratory experiments have suggested one such alternate method. Large basin-forming impacts could produce short-lived magnetic fields on the Moon, which would be recorded in the hot materials ejected during the impact event. In fact, some observations of magnetization are located at the opposite side of the Moon (the antipode) from large basins. So, how can you tell if magnetization in a rock was formed by a core dynamo or an impact event? Well, impact-induced magnetic fields last only about 1 day. If a rock cooled very slowly, it would not record such a short-lived magnetic field, so any magnetism it retains must have been produced by a dynamo. Also, rocks that have been involved in impacts show evidence of shock in their minerals. One lunar sample, number 76535, which shows evidence of slow cooling and no shock effects, has a distinct remnant magnetization. This, along with the age of the sample, suggests that the Moon had a liquid core and a dynamo-generated magnetic field 4.2 billion years ago. Such a core dynamo is consistent with convective cooling. But, what if there are younger samples? New studies recently published in Science by Erin Shea and her colleagues suggest this may be the case. Ms Shea, a graduate student at MIT, and her team studied sample 10020, a 3.7 billion year old mare basalt brought back by the Apollo 11 astronauts. They demonstrated that sample 10020 shows no evidence of shock in its minerals. They estimated that the sample took more than 12 days to cool, which is much slower than the lifetime of an impact-induced magnetic field. And they found that the sample is very strongly magnetized. From their studies, Ms Shea and her colleagues conclude that the Moon had a strong magnetic dynamo, and therefore a moving metallic core, around 3.7 billion years ago. This is well after the time a convective cooling dynamo would have shut down. It is not clear, however, if the dynamo was continually active since 4.2 billion years ago, or if the mechanism that moved the liquid core was the same at 4.2 and 3.8 billion years. So, what other ways are there to keep a liquid core moving? Recent studies by a team of French and Belgian scientists, led by Dr. Le Bars, suggest that large impacts can unlock the Moon from its synchronous rotation with the Earth. This would create tides in the liquid core, much like the Earth’s oceans. These core tides would cause significant distortions at the core-mantle boundary, which could drive large-scale flows in the core, creating a dynamo. In another recent study, Dr. Dwyer and colleagues suggested that precession of the lunar spin axis could stir the liquid core. The early Moon’s proximity to the Earth would have made the Moon’s spin axis wobble. This precession would cause different motions in the liquid core and overlying solid mantle, producing a long-lasting (longer than 1 billion years) mechanical stirring of the core. Dr. Dwyer and his team estimate that such a dynamo would naturally shut down about 2.7 billion years ago as the Moon moved away from the Earth over time, diminishing its gravitational influence. Unfortunately, the magnetic field suggested by the study of sample 10020 doesn’t fit either of these possibilities. Both these models would provide magnetic fields that are too weak to have produced the strong magnetization observed in sample 10020. Another method for mobilizing the liquid core of the Moon will need to be found in order to explain these new findings. A Long-Lived Lunar Core Dynamo. Shea, et al. Science 27, January 2012, 453-456. doi:10.1126/science.1215359. A long-lived lunar dynamo driven by continuous mechanical stirring. Le Bars et al. Nature 479, November 2011, 212-214. doi:10.1038/nature10564. An impact-driven dynamo for the early Moon. Dwyer et al. Nature 479, November 2011, 215-218. doi:10.1038/nature10565. It interesting that we have explored further into space than we have explored the depths of the Earth. The main reason for that is the pressure and the heat. 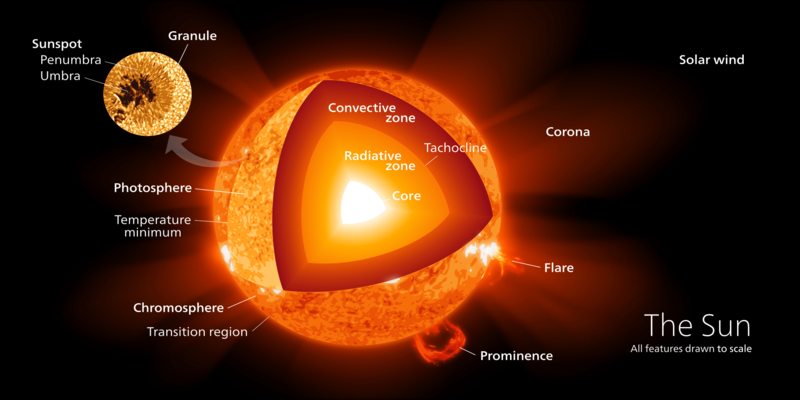 We know through seismography that temperatures in the inner parts of the Earth actually exceed the surface temperature of the Sun! That is pretty hot. So why is the center of the Earth Hot. The answer comes from a lot different sources. The first is heat left over from the formation of the Earth. The next source is gravitational pressure put on core by tidal forces and the rotation of the Earth. The last known source of heat is the radioactive decay of elements in the inner part of the Earth. The Earth is pretty old at 4 billion years old and there are still things we don’t completely understand about its formation. We do know that gravity played a role pulling in more matter and compressing it to form the Earth. When you have matter colliding at high velocities like it did in the early stages of the Solar System’s development all that kinetic energy has to go somewhere. In the case of Earth that energy was turned into heat. This heat is the initial source for the temperatures in the Earth’s interior. The next source of heat is gravitational pressure. The Earth is under immense pressure due to the tidal forces exerted by the Sun, the Moon, and the other planets in the Solar System. When you include the fact that it is also rotating the Earth’s core is under immense pressure. This pressure basically keeps the core hot in the same way as a pressure cooker. It also helps to minimize the heat it loses. The last and most important source of heat is nuclear fission of heavly elements in the Earth’s interior. In short the Earth has a nuclear engine inside it. It is thank to the continous nuclear fission of elements in the Earth’s interior that replaces the heat the Earth loses keeping it nice and hot. This fission process occurs in the form of radioactive decay. It also creates the convection currents in the mantle that drive plate tectonics. We have written many articles about the Earth’s core for Universe Today. 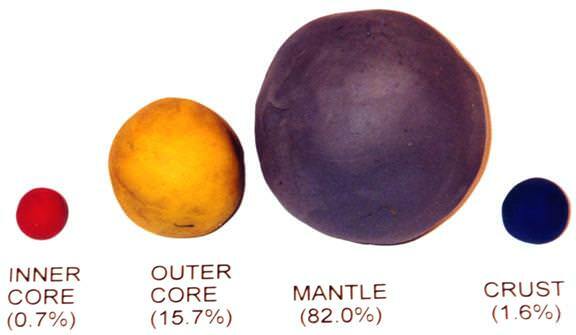 Here’s an article about the Earth’s outer core, and here are some interesting facts about the Earth.